Eurovision 2013 is upon us, and with that come all of its excesses. Recently found to be the most successful evening for singles to hook up, topped only by New Year’s Eve. It must be a combination of bright flashing lights, glitter, pyrotechnics and a mixture of the strangest, ugliest and most beautiful people in the world which gets us going. In short it is a sensory overload which collides with our eager eyes like a bejewelled drag queen juggling Molotov cocktails. The success of the show never ceases to amaze as it couples everything that would be treated as a failure in any commercial sense. This combination of tacky, weird and wonderful allows for the perfect evening of ridiculous viewing. No pressure, no favourites and no shortage of drinking games. This may explain why the audience gets so frisky. 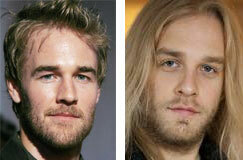 Tonight’s broadcast includes an Icelandic Viking who bears a striking resemblance to James Van Der Beek. A Romanian contralto singer who rises from the stage to match his voice… He goes very high. A Belgium singer whose eyebrows steal the show as they interweave with his fringe. 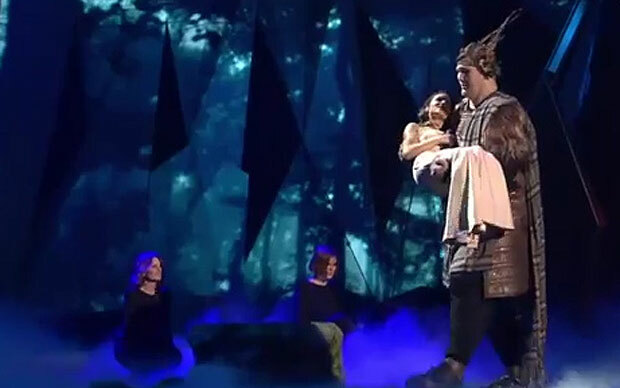 Also making a brief cameo is Igor the tallest man in America at a whopping 8ft tall who carries the shortest woman in the Ukraine on stage. I can’t forget to mention the Armenian double denim 80’s rock performance. The Canadian tuxedo has never looked so… well Armenian. Enjoy the spectacle, don’t ask questions and drink up with every key change. Posted in Snapshots, Words and tagged Denmark, Drinking Games, Eurovision 2013, Iceland, Ukraine Giant. Bookmark the permalink.